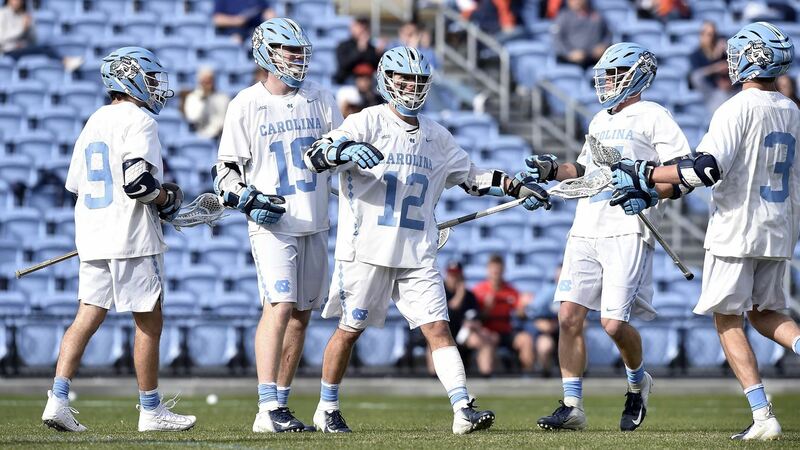 The UNC men’s lacrosse team won its third consecutive game on Sunday afternoon at the U.S. Lacrosse Complex in Sparks, Maryland, as 12 different players scored in a 15-9 victory over the Cleveland State Vikings. Alex Trippi, Andy Matthews and Timmy Kelly led the UNC offensive attack with two goals apiece, as the Tar Heels (6-2) piled up a whopping total of 49 shots compared to just 31 for Cleveland State (4-5). The Tar Heels led 8-4 at halftime and would go on to extend their lead to 12-6 early in the second half before closing the deal. UNC will now get ready to face No. 6 Maryland next Saturday in College Park, a game scheduled to start at 4 p.m.